hd00:30Cute sisters taking a walk on a beach in summer. hd00:23Children spending time sitting on the beach playing with pebbles. 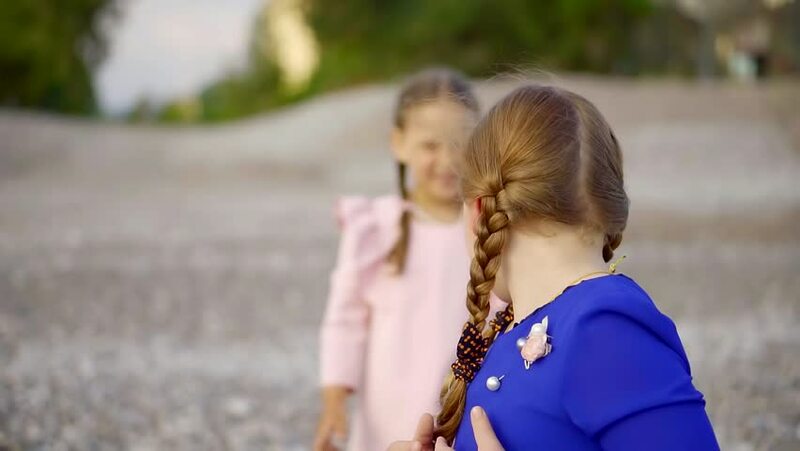 hd00:25Two lovely girls in summer dresses throwing stones and pebbles in the beach in summer. hd00:23Two beautiful girls being silly outside on the beach. hd00:30Company of little girls sitting in a cafe together and talking. hd00:30Happy family eating in cafe on vacation. hd00:12Lovely family of four eating in restaurant together on vacation.